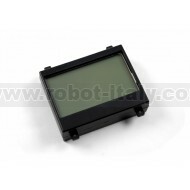 The screen is 128 pixels wide and 64 pixels tall, and each pixel is 0.45 mm. 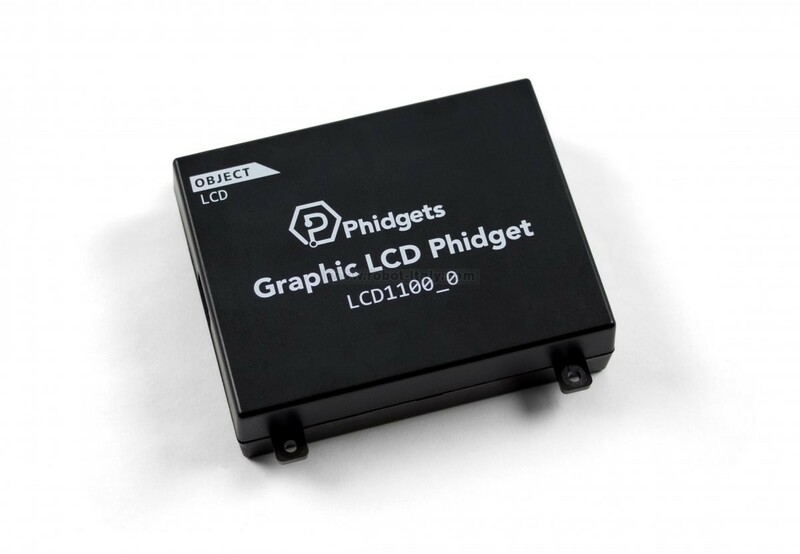 The backlight brightness and pixel contrast can both be controlled from software. 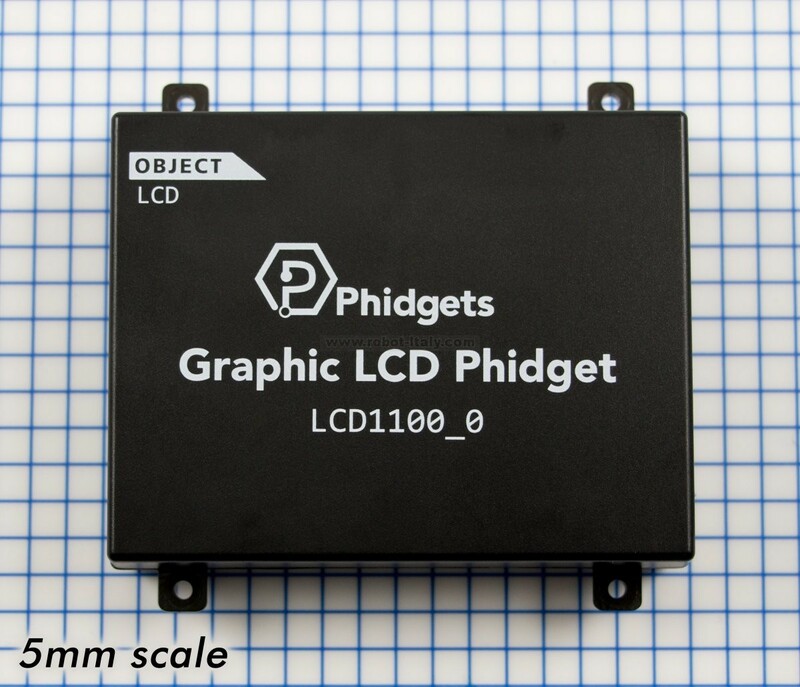 If your project needs a user output that's more complex than LEDs but more portable than a computer screen, this graphic LCD module will suit your needs. 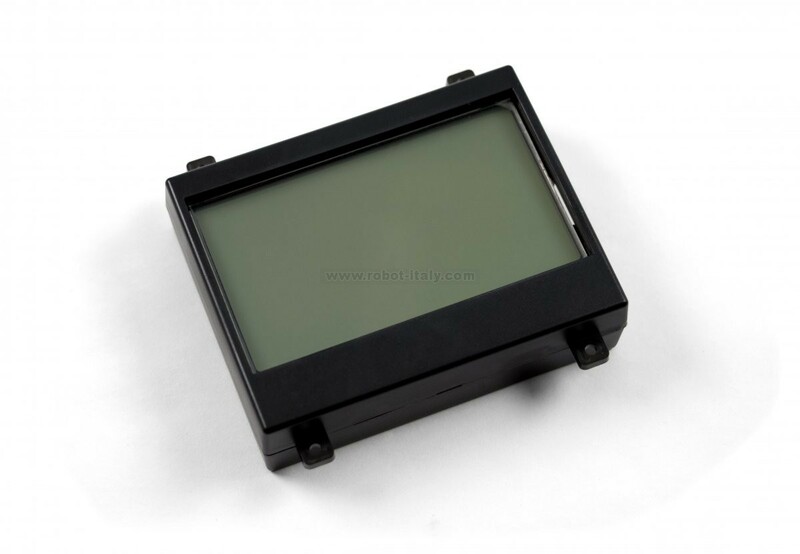 The screen is 128 pixels wide and 64 pixels tall, and each pixel is 0.45 mm. 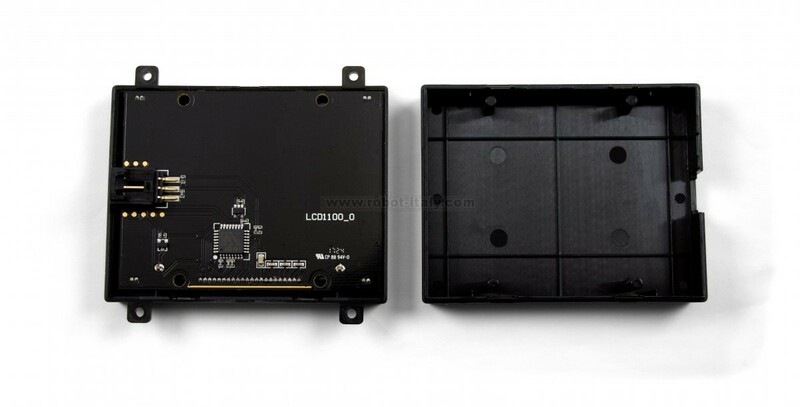 The backlight brightness and pixel contrast can both be controlled from software. 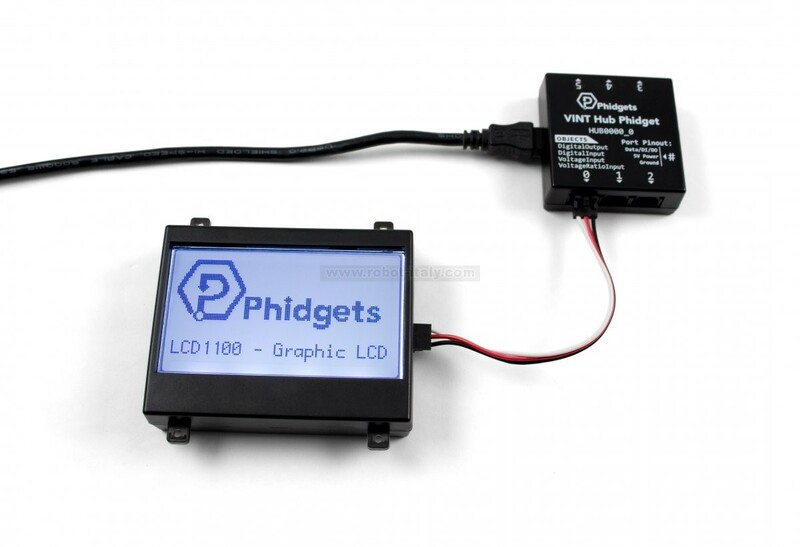 The LCD1100 connects to a port on a VINT Hub; see the "Comaptible Products" tab for a list of hubs.